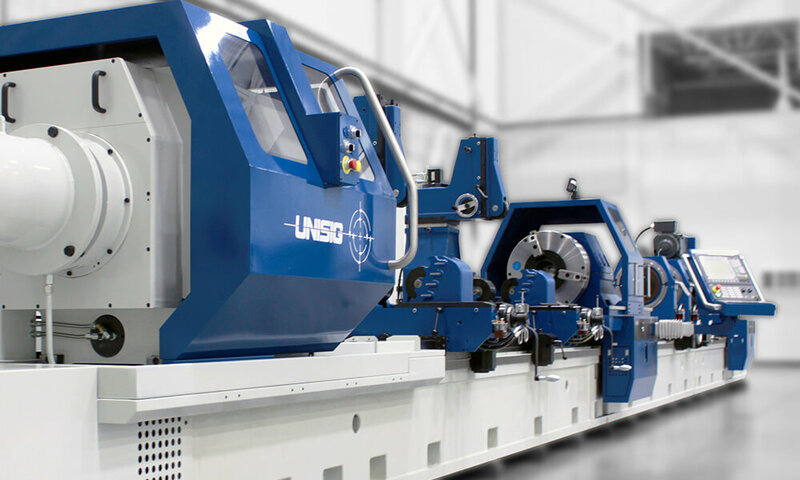 UNISIG is one of the largest producers of deep hole drilling machines and a leader in technology, innovation, support, and service that our customers rely on to be competitive. Our customers include small job shops looking to expand their capabilities, to large OEM’s that need to drill millions of holes. We offer the entire deep hole drilling system – machines, tools, and automation. We provide technical expertise, training, and remote as well as on-site service to help maximize the value of the investments our customers have made. UNISIG machines are engineered and manufactured in the USA for our global customer base. Our machines can be installed and supported anywhere in the world. We have installations in the Americas, Europe and Asia and provide the technical support and service our customers need to stay productive through the life of the equipment. We believe our success stems from a very strong understanding of the deep hole drilling process, drilling tools and their applications. We have a long history of achievement, regardless of the technical challenges. Our experience comes from solving problems with our customers, and learning what they need from their machines to achieve their deep hole drilling goals. We then apply what we learn with our impressive engineering and manufacturing capabilities, and set new standards for performance from deep hole drilling machines, which in turn drives tooling development to the benefit of the industry as a whole. UNISIG often helps customers with little or no deep hole drilling experience to be very successful when launching new projects that are critical to their manufacturing needs. More experienced customers also value the power, precision, and control that our machines offer them. Our products cover the full range of deep hole drilling applications. We have standard models that drill holes less than 1 mm [.040”] diameter in titanium medical components. On the other end of the spectrum, we build machines that can drill holes 500 mm [20”] in diameter over 10 meters [30 ft] deep in massive high strength forgings. Our experience goes beyond drilling with our 5-axis CNC milling and drilling machines. Our sales and application team will help you find the right solution. We invest in our express delivery program to allow quick shipment of standard models. The UNISIG Tech Center provides testing and prototyping services to reduce the risk of new process development and is often the basis for innovation that improves our products. When a standard machine isn’t the right answer, we are able to engineer a custom solution with the same expectations of performance and service as a standard machine. Please contact us so we can understand your needs and explain why UNISIG should be considered the best choice for your deep hole drilling needs.